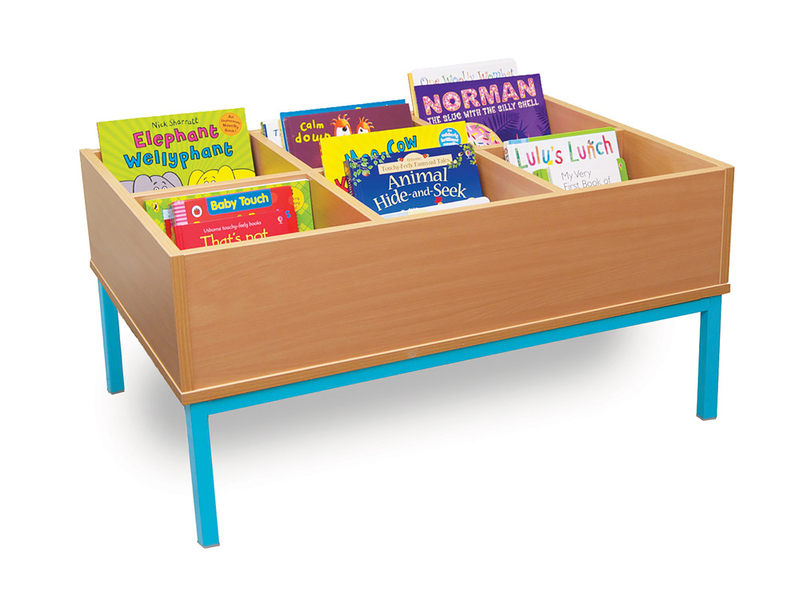 The static kinderbox is a book storage solution designed for use in schools, pre-schools and nurseries. Perfect for displaying children’s books in a school library or classroom reading corner and a great solution if space is limited. 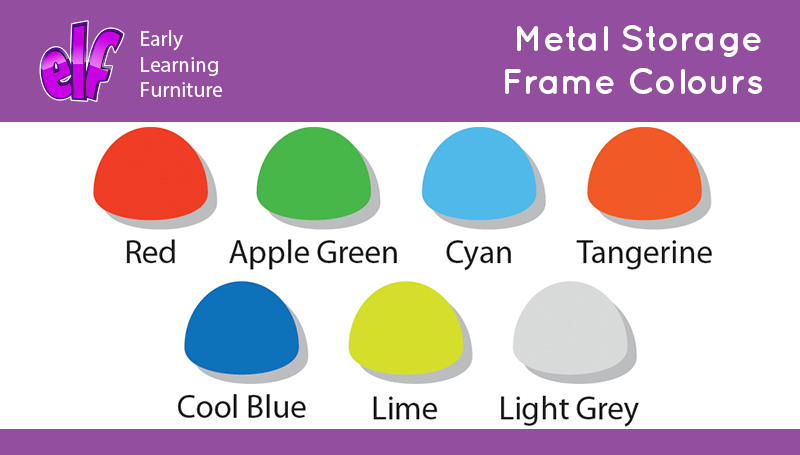 Constructed from 18mm MFC in a modern beech finish, this kinderbox comes with a fully welded steel frame available in 7 eye-catching colours – perfect for adding a touch of colour to your reading area. Choose from a 4 bay kinderbox if your space is limited, or you can select the larger 6 bay kinderbox if more storage space is required. Please note: the books featured in the product images are not included. For more information please Contact Us or call us on 01733 511121. 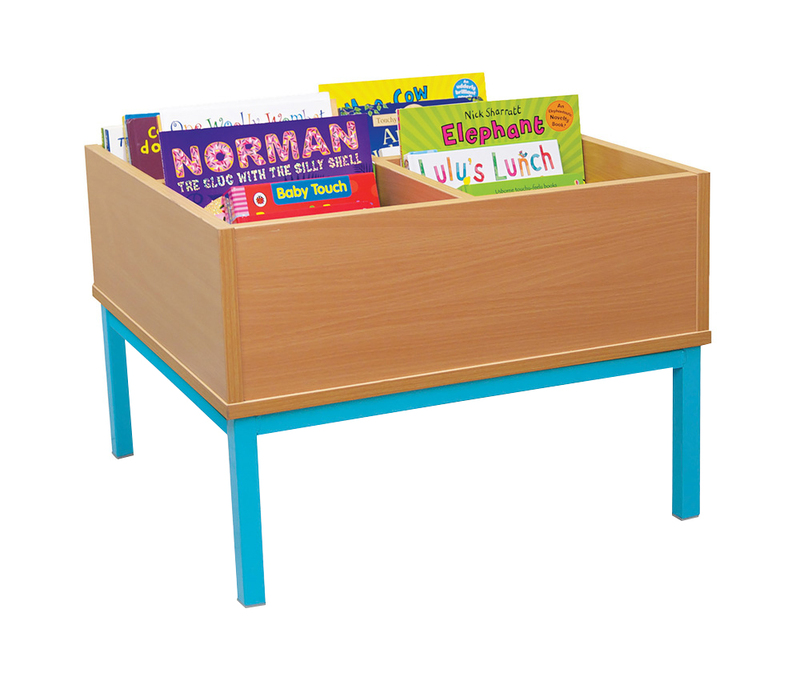 View our full range of Kinderboxes.